Home/Behind The Scenes/We Love Wool! From the 8th – 21st October, The Campaign for Wool’s annual UK Wool Week will mark its ninth year with an extended programme of events, exhibitions, activities and initiatives designed to educate, inspire and promote the benefits of wool. 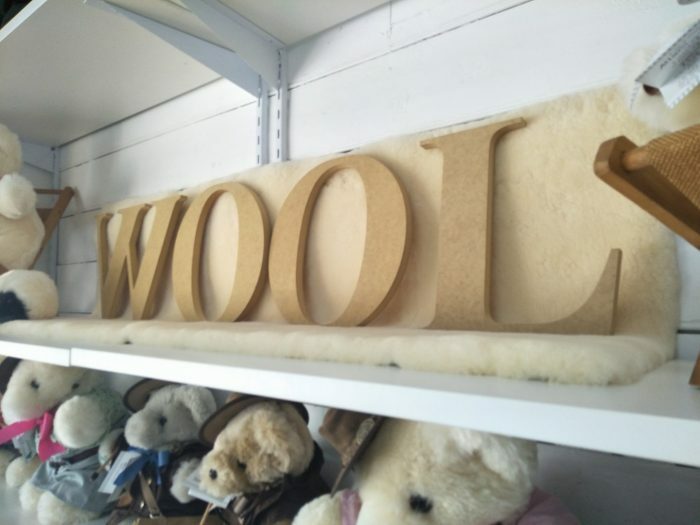 The Campaign for Wool began in October 2010 with a launch event that saw London’s historic tailoring street Savile Row transformed into a pasture upon which fifty sheep grazed. Over 100 companies participated in Wool Week and thousands of consumers took part in activities such as knitting and felting. As lovers of Wool, we thought we thought this period was a good time for a bit of reflection on why we love wool! Woolgrowers actively work to safeguard the environment and improve efficiency, endeavouring to make the wool industry sustainable for future generations. Wool is a hygroscopic fibre. As the humidity of the surrounding air rises and falls, the fibre absorbs and releases water vapour. Heat is generated and retained during the absorption phase, which makes wool a natural insulator. Wool fibres resist tearing and can be bent back on themselves over 20,000 times without breaking. Due to its crimped structure, wool is also naturally elastic. Wool therefore maintains its appearance in the longer term, adding value to the product and its lifespan. Wool is also hydrophillic—it is highly absorbent and retains liquids—and so dyes richly while remaining colourfast, without the use of chemicals. Wool is naturally safe. It is not known to cause allergies and does not promote the growth of bacteria. Thanks to its high water and nitrogen content, wool is naturally flame-retardant, and has a far higher ignition threshold than many other fibres, will not melt and stick to the skin causing burns, and produces less noxious fumes that cause death in fire situations. Finally, wool also has a naturally high level of UV protection, which is much higher than most synthetics and cotton. P.S. We also think Sheep are pretty cool too!